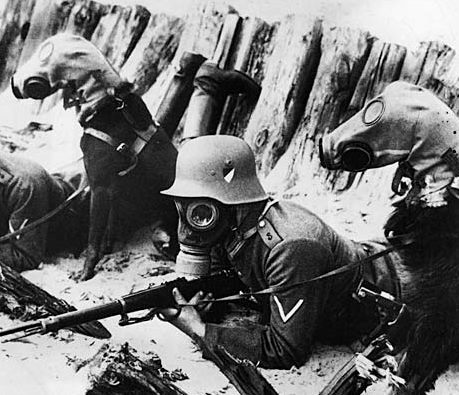 Since the horrible Gas attacks of World War I the gas mask was a standard piece of equipment of the German soldier throughout World War II. 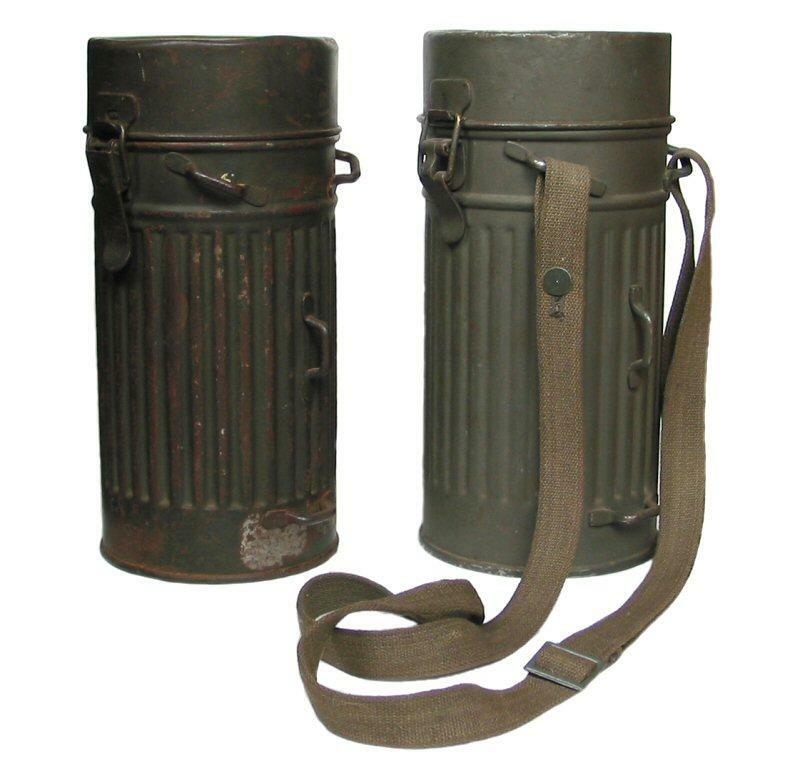 The gas mask cases (Gasmaskenbüchse), are the only piece we actually want you to have. As the gas mask itself would be useless, since as re-enactors we don't engage in biological or chemical warfare. The case is however a standard piece of equipment, so it's a "must have".